So, for today's visions of the future post I planned to deeply discuss one of my obvious goals. I couldn't decide which one though. The Hawaii trip would make a great discussion because I am a part of the working poor and it will take a lot more money than I have to survive a week in Hawaii. It'll take more than I have to purchase the plane ticket too. However, I decided to leave Hawaii alone for the moment. There's also California to discuss but California will have to be stretched out into a series of posts. While I have been confused, there is a certain future goal to discuss today. That's marriage. One day I do want to get married. See, I want to meet the man of man dreams, wear a big ring showing our unity, and be able to praise him for being a good husband and father. That sounds good in theory, right? It really is what I want, but society is trying to kill the idea of a lasting marriage for some reason. Just look at how Kobe Bryant and his wife's divorce is being treated, Deion Sanders marriage to Pilar is being dragged through the mud, and rumors sprout up every other month and Will Smith and Jada Pinkett-Smith. 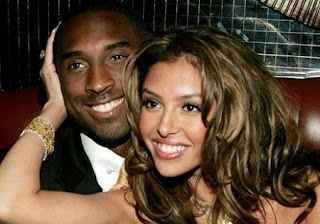 As I said in another post, I'm not going to reason out Kobe and Vanessa Bryant's choices. However, look at how people are treating the situation. They've focused on his cheating and the amount of money Vanessa is getting from the divorce. She is definitely going to be set for life with money unless Kobe happens to have bad spending habits and goes broke one day. No one seems to care about how the divorce will effect their kids or even why after so many years of marriage they are just willing to walk away so easily. The only factor women and men are caring about is how much money is Vanessa leaving with. They live in California show she's getting half and she'll be paid child and spousal support. But does money have to be the focus? No one is going to call me a gold digger when I get married. Well if they do it won't matter. My goal is to marry for love, commitment, and I won't give up when hard times approach. I never understood how women could survive being called heaux's, going broke, being single mothers, but then quickly walk away when their man makes a mistake. If I can handle being called a heaux, being broke, being emotionally ripped apart by people that were supposed to love me, then I can survive whatever turmoil comes in a marriage. I just hope the man I marry has the same passion for making it last.